Entertaining North Texas for more than 75 years, the Fort Worth Symphony Orchestra (FWSO) is renowned for its magnificent performances and world-class musicians – all under the direction of internationally recognized Musical Director Miguel Harth-Bedoya. Year-round performances are held at Bass Performance Hall, with a special summer series, Concerts in the Garden, held in the Fort Worth Botanic Gardens. 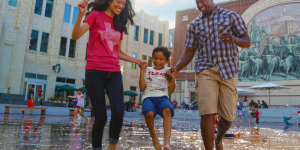 Discover all of the fun Fort Worth things to do for kids and families including the zoo, Six Flags, museums, and more from the Fort Worth CVB.